This is a great card for families and folks who use their card on grocery spending, those who drive (and hence fill up their gas) and also those who shop quite a bit at department stores. Cash Back Rewards : 3% at U.S. supermarkets on up to $6,000 per year in purchases (then 1%); 2% at U.S. gas stations and select department stores; 1% on other purchases. Gristedes, Foodtown, Meijer, Pathmark, Shoprite, Stop and Shop, Vons, Whole Foods, Winn-Dixie, Online supermarkets such as FreshDirect. Below is a screen shot of my statements from my trip to Wholefoods. It was classified as grocery. Gulf, Murphy USA, Murphy Express, Exxon, Mobil, Hess, Shell etc. However, gas stations that are part of supermarkets (like Walmart, Kroger etc) will not earn 2% cash back. Below is a screenshot of my statement showing my purchase at a Sunoco gas station. The cash back that you earn with this card is called reward dollars. 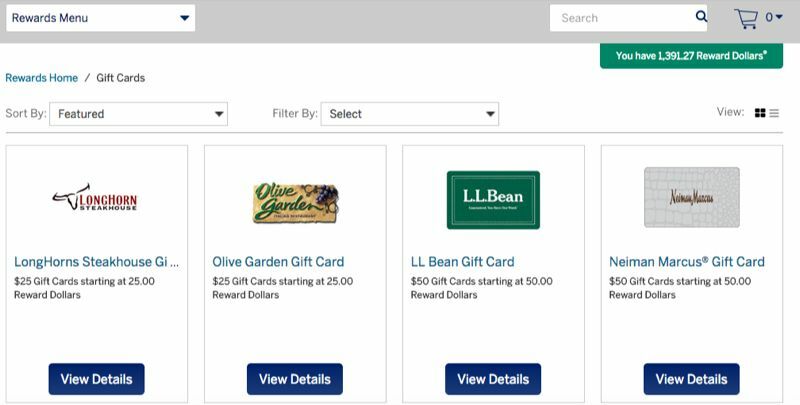 You can redeem them as a statement credit, shopping items or gift cards. When I redeem them for statement credit, the amount will be applied to the next statement and not the current or upcoming one. 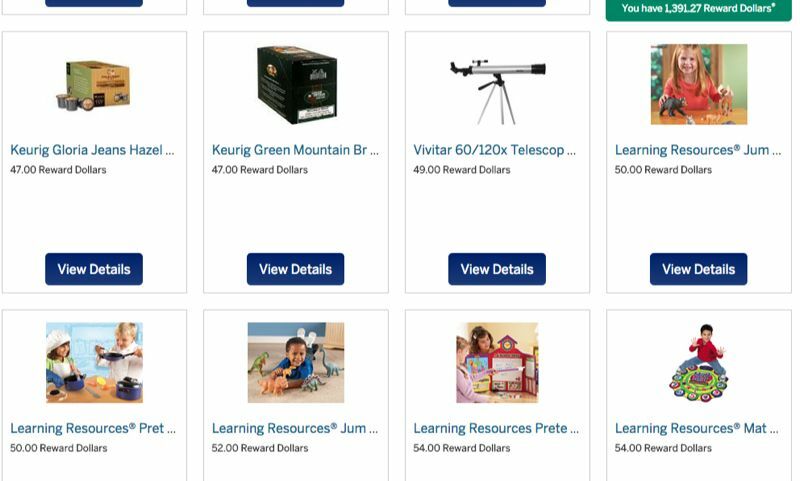 Below are screen shots showing how you can redeem reward dollars. The table above shows some of this card's competitors. As you can see above, the cash back credit card sector is offers 3 types of cards to consumers. The first type is very similar to the Blue Cash Everyday. You get more than 1% cash back (normally 2% or 3%) on a couple of categories and 1% for everything else. 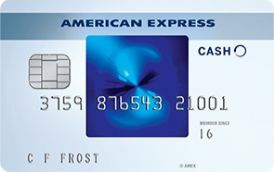 The Blue Cash series from Amex are cards like that. So is the BankAmericard Cash Rewards where you get 3% cash back on gas and 2% on supermarket and wholesale clubs (but with a cap of $2,500 in quarterly spending in these categories). Another type of card is the rotating categories. Chase Freedom and Discover IT are examples of such cards. You get 5% cash back on certain categories that changes every three months. You also have to enroll each quarter (which can be a nuisance). Then there are the 1.5% on everything cards. In fact, these are becoming more popular. These are all good cards and which ever type you choose really depends on your preference. The more important thing to note is that Amex has an annual fee version of this card (Preferred Version). The annual fee is $95 but you get to earn 6% cash back at supermarkets (vs 3%) and 3% at gas stations and select supermarkets (vs 2%). Whether you will be better off with the "preferred" or "everyday" version depends on your spending. You might just want to investigate this. Our take: Is Blue Cash Everyday A Good Card? Choosing the best cash back card for yourself can be a little tricky. But at the end of the day it boils down to what type of card you would like to have and whether you just want to use one main card or use a few. As mentioned earlier, when you are choosing a cash back card, you have a choice of straight 1.5% cash back card for all purchases, rotating category cards where you can earn 5% cash back on categories that change every 3 months, or a card like this one where you can earn more than 1% on certain categories (in this case, it is supermarkets, gas stations and "select" department stores). If you decide that you would like to have a cash back card like this one, then we would have no hesitation recommending it. You can earn extra cash back from your supermarket shopping, filling up at the gas stations and your occasional shopping at department stores. This would make a great standalone card and from my experience, I have never been to a supermarket, gas station or department store that does not accept Amex. This is also the only cash back card (aside from the Blue Cash Preferred) that allows you to earn 2% cash back at department stores. If you are the sort that likes to combine cash back cards and squeeze out the most rebates from your credit card spending, then this is another good card to add to your wallet. You can combine this card with a rotating category card and even a 1.5% card and really earn earn as much cash back as you can. The real decision to make is if you should get Everyday or the Preferred version of this card. The preferred version comes with an annual fee, but allows you to earn higher cash back. Depending on your spending, that may make more sense. To sum up, we give this card a 5 star rating and have no problems recommending this card to anyone looking to earn extra cash back on gas, supermarket and department store spending. I personally have 3 Amex cards and can vouch for their excellent customer service (especially when it comes to fraudulent transactions). How can I still earn cash back at supermarkets even after I exceed the $6,500 limit on grocery spending? You can either get the Blue Cash Preferred (with a $95 annual fee) and earn 6% cash back at supermarkets or simply have your spouse get their own Blue Cash Everyday (effectively doubling your supermarket spending threshold to $13,000). Will I still earn cash back if I use Apple Pay? Can I receive a check for the cash back I have earned or direct deposit? No. Amex does not give you a check for your cash back or direct deposit. Instead, you can redeem them for statement credits, gift cards or merchandise. Does Target, Walmart or Costco count as grocery shopping? No, they do not. You also cannot use Amex cards at Costco. Does BCE have foreign transaction fee? Yes it does. The rate is 2.7%. Do I have to pay the Blue Cash Everyday in full every month? No you do not. The Blue Cash Everyday is a credit card and not a charge card. You can carry a balance. How do I earn more than 1% cash back on purchases other than gasoline and groceries? 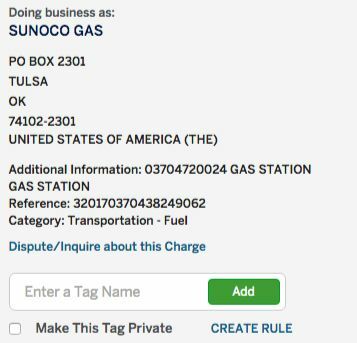 You have to combine the BCE with other credit cards in order to earn more than 1% cash back on non-gasoline and non-grocery purchases.